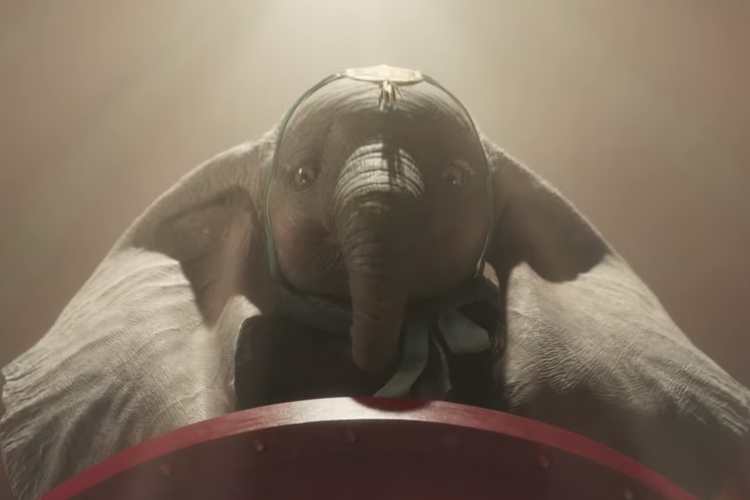 Today a new sneak peek was released for the upcoming live-action Dumbo. The beloved elephant can be seen flying around the circus tent in this new preview. Included in the new sneak peek are snippets from scenes with circus ringmaster Max Medici portrayed by Danny DeVito and circus performer Holt Farrier played by Colin Farrell. Also, appearing in the sneak peek was Michael Keaton’s character V.A. Vandemere who is the circus owner. This is the first on-screen appearance of Keaton’s character.